The mambo dance genre is a Latin style dance that originated in Cuba. Mambo dance music is a combination of Afro-Cuban and Latin American rhythms that originated in the early 1940’s in Cuba. American jazz and Afro-Cuban music were also influential in the way the dance developed. The mambo spread from the casinos in Cuba to Mexico and across the United States. It became very popular in the 1940’s and 1950’s with the Latin pop music. Other Latin dances evolved from mambo like cha cha and salsa. The mambo dance uses a single rhythm step between two breaking action rock steps. Normally, it is danced to fast tempo Latin music. It is similar to salsa music but more staccato. Additionally, it has a lot in common with cha cha but doesn’t use a triple rhythm or split beats. The mambo uses considerable staccato type action unlike salsa, which is the next generation of mambo. Sometimes, the salsa that breaks on the two count is called salsa on 2. The mambo breaks on count two like the cha cha. 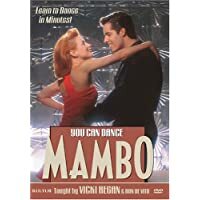 Many dancers from the 1950’s through the 1970’s were crazy for mambo with its Afro-Cuban and Latin American style musical rhythms and its fast paced sensual movement. The mambo is sometimes thought of as a fast cha cha without the triple step or in single rhythm. The hips move with Cuban motion like the cha cha but less pronounced than cha cha or rumba. Mambo is still done today and is included in American style rhythm dancing as one of the competition dances for Dancesport. Dance studios and teachers standardized the mambo and documented all the popular dance patterns and movements in order to teach the mambo. It was included in dance programs across the United States for years and is still taught at many dance studios that offer American style dance instruction. At the Pattie Wells’ Dancetime Center, the mambo is still offered in a group dance class occasionally. The Latin dance teaching team at the Dancetime Center is very fond of the mambo and enjoys teaching and dancing the mambo. 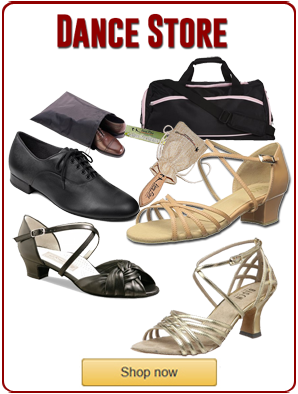 Read more about all the type of different dances here!